The Better Business Bureau reports that 70% of the complaints they receive are about roofing and roofing contractors. Your roof is quite possibly one of the more expensive investments you will make on your home, and the large amounts of money put into this improvement is why so many people file complaints. Goodrich Roofing understands that finding a trustworthy roofer can be challenging. It’s tempting to simply take a few estimates and go for the lowest bidder, but the numbers do not lie. Going cheap is not a good strategy, but neither is breaking the bank. How do you make sure you are trusting the right people to do such an important project? The short answer is that there is no guarantee. Certain signs, however, can show you that you’re dealing with a reputable contractor, and here are the best of them. GAF is North America’s largest manufacturer of roofing products. Being factory-certified by GAF takes a considerable amount of training in order to properly handle, install, maintain and repair their products. The Master Elite® rating is given to only a select few roofers able to pass the rigorous screening and fulfill all necessary requirements. Being a GAF Master Elite contractor means that you are properly licensed and fully insured, committed to an ongoing training about roofing techniques and methodologies provided by GAF, and have a flawless reputation in your local area. Goodrich Roofing is not just factory-certified, but we have also earned the coveted Master Elite rating. This prestige is shared by no more than 3% of contractors in the country. GAF works with contractors to ensure that all roofing materials are produced sustainably. Disposal of old roofing in every state is quite a growing problem. With the Certified Green Roofer™ Program, you can be sure that your old asphalt shingles are recycled properly, reducing the amount of waste in the environment and helping to make our world a better place. 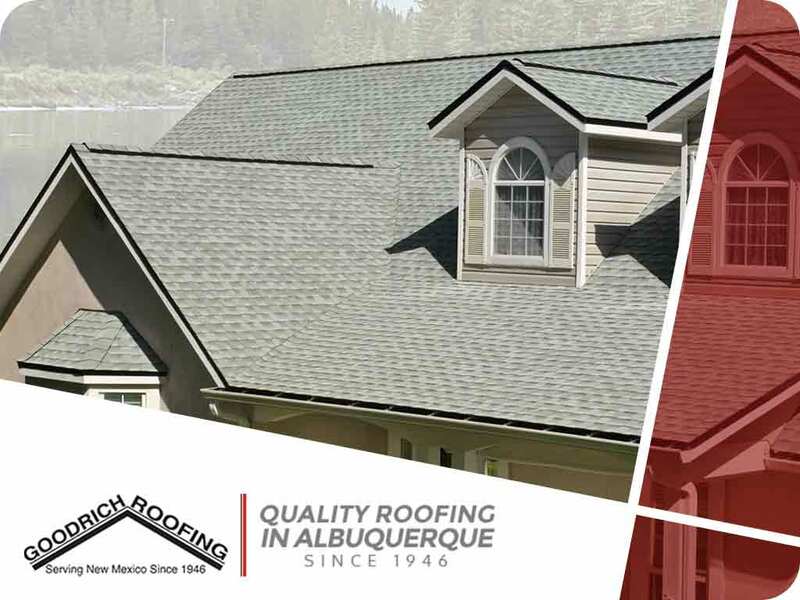 With over 70 years of trusted service, Goodrich Roofing has helped put a roof over the heads of generations of Americans. 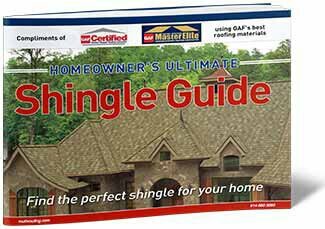 You can trust us with all your roofing needs. Give us a call today at (505) 219- 4450, or fill out our contact form to request a quote for free. We serve Albuquerque and the surrounding areas.